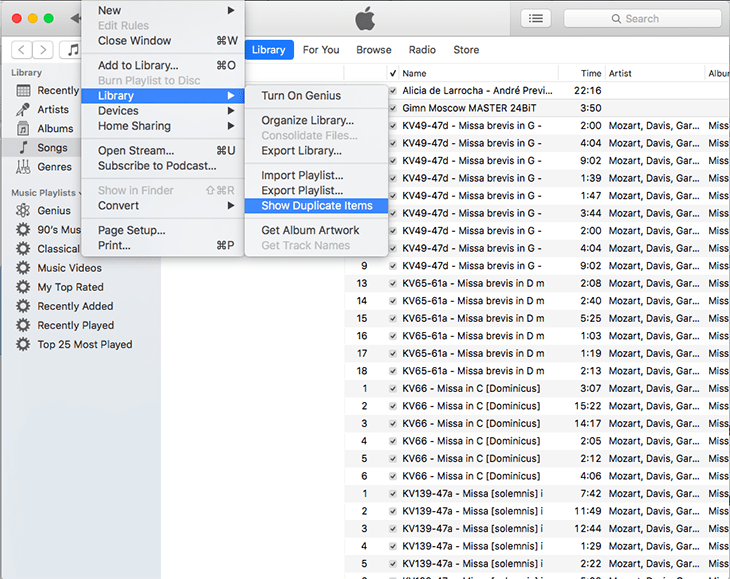 iTunes duplicates can be really annoying because they are huge space-wasters and they mess up your playlists. That's why it's best to delete them as soon as you can. 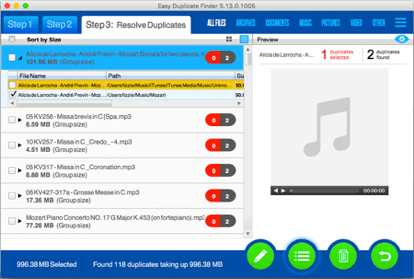 This article will show you how to delete duplicates in iTunes the easy way. iTunes is a wonderful app to manage your music. It's easy to use, works on all your devices, and has become fast andfeature-rich in recent years. However, there is one problem that iTunes can't seem to fix - duplicate audio files. 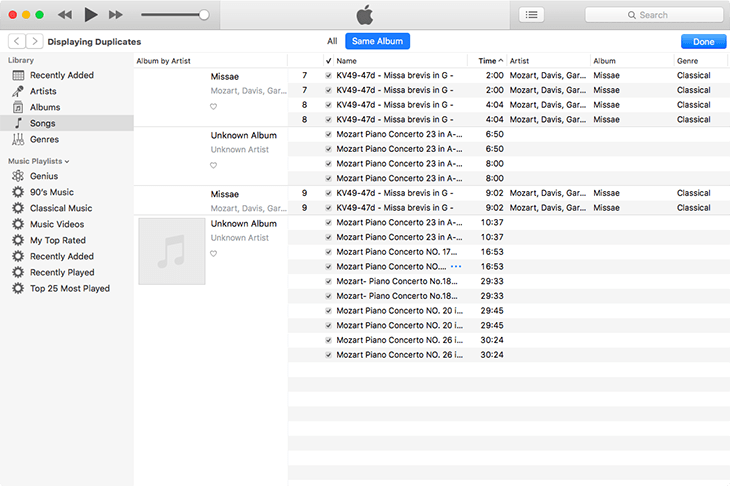 Sometimes iTunes duplicates individual tracks, but you can even get duplicate albums. Now your iTunes should be in good shape for future imports. That doesn't mean that your current duplicates are gone, though. So, let's clean them out! 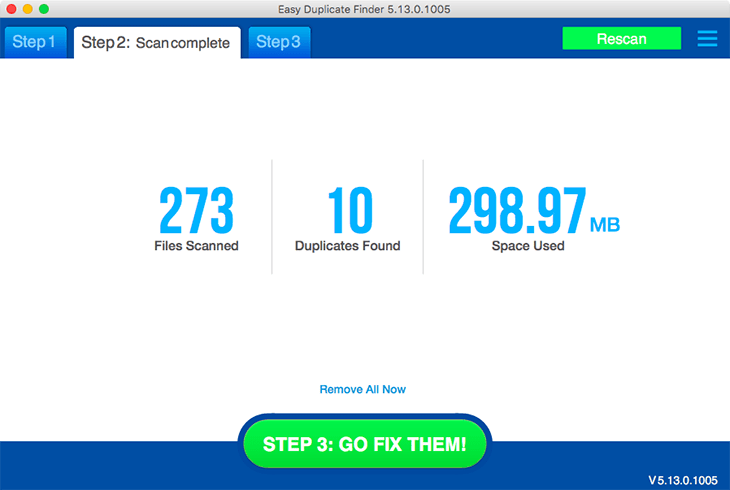 The easiest way to delete duplicates in iTunesand sync the results across all your devices is to use Easy Duplicate Finder's iTunes Scan mode. 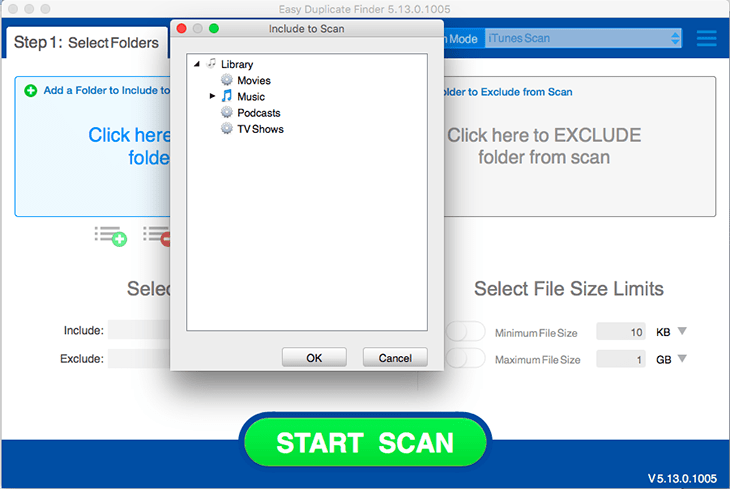 Open Easy Duplicate Finder and select the iTunes Scan mode from the drop-down menu. 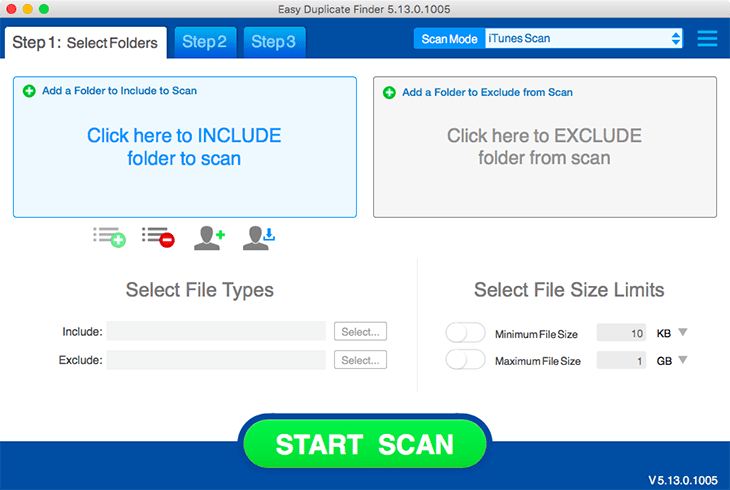 Click on the "Add a Folder to Include to Scan" link in the INCLUDE window and select the iTunes folders you want to check for duplicates, then click OK.
Click on the Start Scan button to launch the scan and wait for the results. The time needed to scan for duplicates depends on the size of your library. You can remove all iTunes duplicate automatically by clicking on the Remove All Now link or proceed to Step 3 to examine the results. Make sure the Preview feature is enabled and use the Group view and the List view to check the files more effectively. EDF preselects the duplicates for you. If you want to change the selection, you don't have to select files one by one. The pencil icon button has lots of options so make sure you have a look at them all. When you're ready to delete the duplicates, click on the trash can button. If you want to explore more file management options, like moving, renaming or linking to original files, click on the list menu button and select the option that works best. In the highly unlikely event of deleting a song by accident, you can use the Undo button to put it back. Just make sure you don't exit the program before you restore your files. 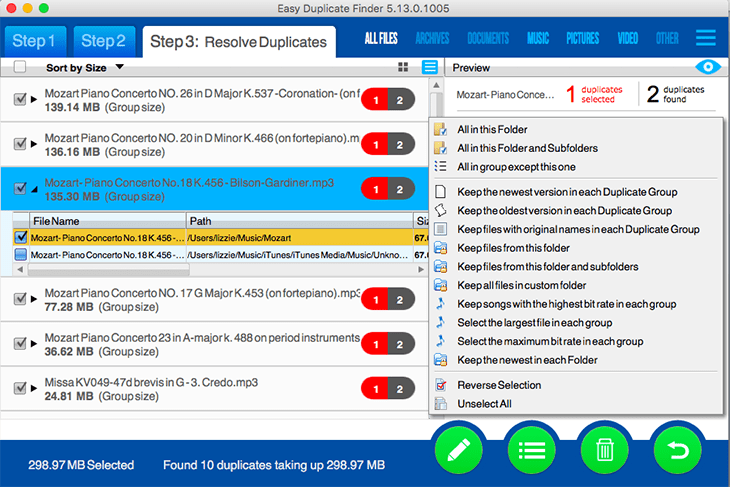 If you don't have an iTunes duplicate finder at hand, you can do some basic cleanup manually. iTunes has a very basic built-in tool that can identify exact duplicates that have exactly the same parameters. 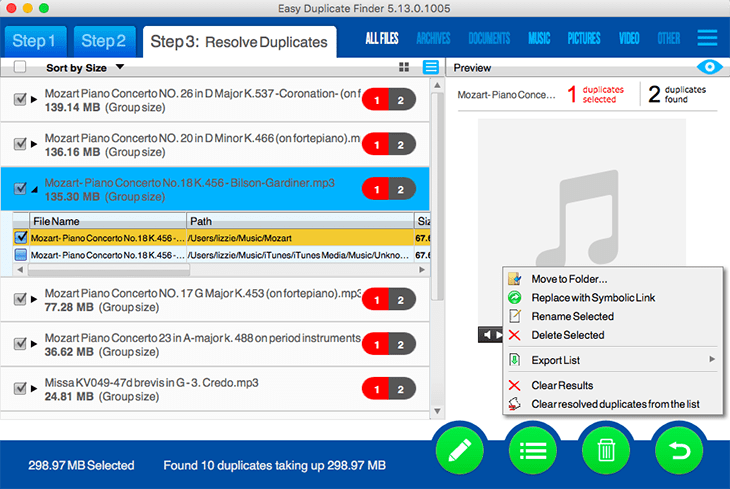 Using the tool is a good start for cleaning up your music. Click on File > Library and select Show Duplicate Items. 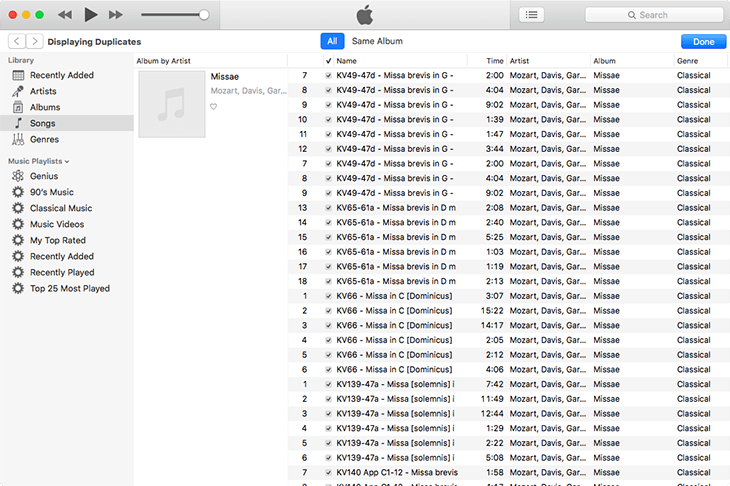 iTunes will display the duplicates but it will be really hard to see what's what because of how it displays them. Selecting Same Album instead of All will help you a bit. But then again, you'll need to return to All once you've cleaned up a specific Album. Another helpful thing is to sort the songs by time stamp. Alternatively, sort files by Name to have duplicates appear next to each other (this doesn't work for albums where the songs have the same name, like my Mozart CD. So if you haven't organized your music yet, check out this article for tips and tricks). Now go through the tracks and delete the duplicates you don't want to keep. To do that, click on the unwanted file and hit the Delete key. iTunes will warn you that deleting the song will delete it from all synced devices. Click on Delete Song to erase the track. When you're using iTunes to manage duplicates, remember that iTunes matches files based on the Song and Artist parameters. This means that it will display songs from different albums as duplicates even if they aren't exact copies. For example, it will mark live and studio versions of a song as copies because song name and artist tags are the same. This is not ideal because it may lead to your deleting items that aren't duplicate files. Duplicate songs in iTunes are a nuisance. They clutter your library and the duplicates on your hard drive take up precious disk space. While iTunes can do a basic job to identify the dupes, it's not reliable or safe to use because you risk deleting a song you'd like to keep. So if you're looking for a bulletproof way to delete duplicates in iTunes, you should use a proper duplicate finder like Easy Duplicate Finder.